A historic building in East Hollywood is now home to the Dharma Punx. On the corner of Melrose and Berendo, nestled among small restaurants, bakeries and shops, the Against The Stream Buddhist Meditation Society has opened a new Meditation Center. Noah Levine’s (author of Dharma Punx and Against The Stream) community based, non profit organization the Against The Stream Buddhist Meditation Society has come to one of the most ethnically diverse neighborhoods in the city. Dedicated to making the teachings of the Buddha available to all, the Meditation Center offers classes that do not require registration and forgo fees for a donate-as-you-can policy. 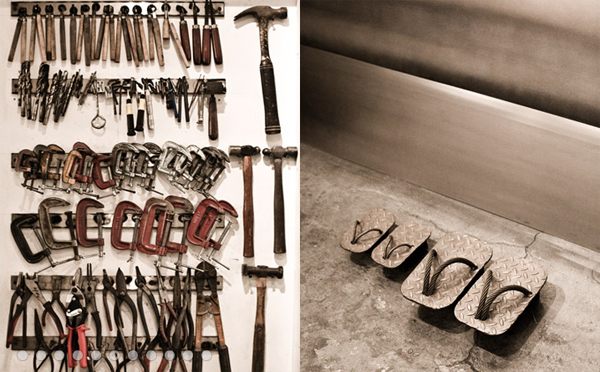 Raw and airy, their new location opened to the pubic earlier this year. 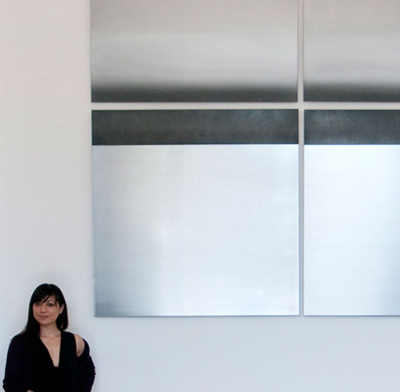 Keeping in tune with the organization’s mission, minimalist artist Miya Ando has been commissioned to help create a non-denominational meditative environment. 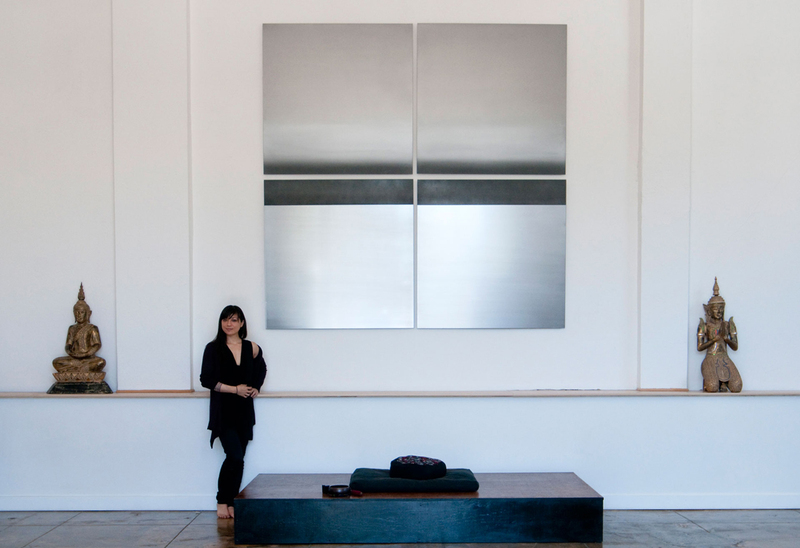 California/ New York based artist Miya Ando has been creating works on steel canvases for the past eleven years. 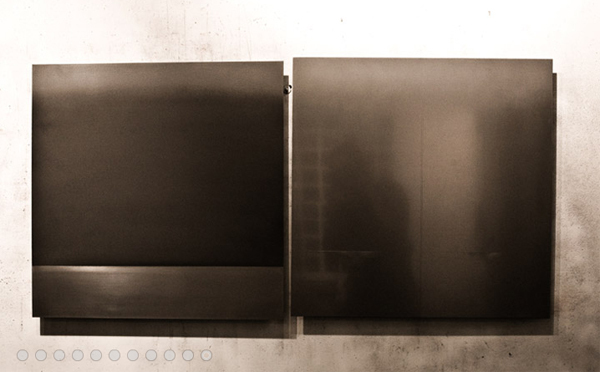 Utilizing a technique honed over the past decade, Ando is able to tint, polish, refine and ultimately create layered depth into a flat metal plane. 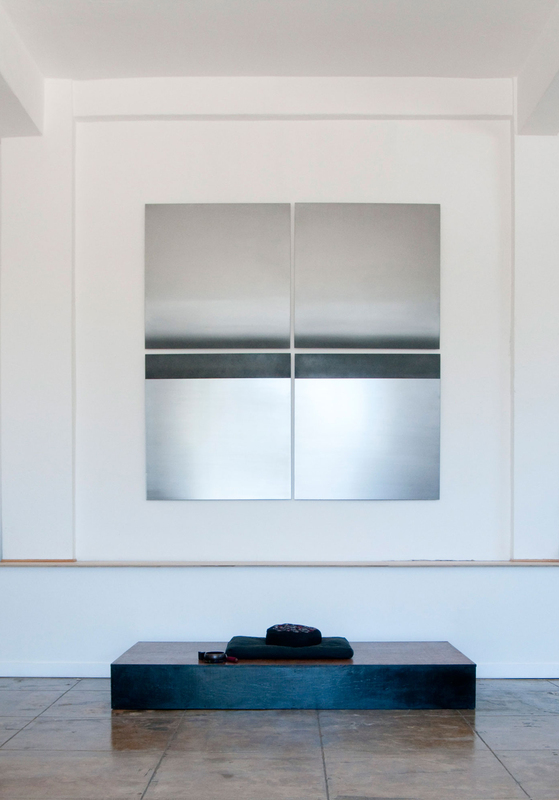 Representing physical, emotional and spiritual landscapes, the elements of Ando’s compositions are akin to the Meditation Center’s. 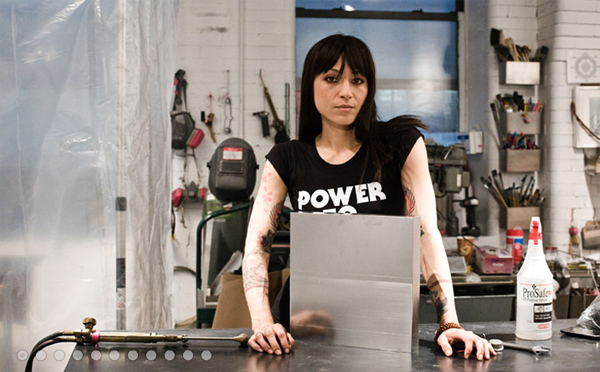 A practicing Buddhist herself, Ando’s art is both meditative and a tribute to honoring, respecting and nourishing. 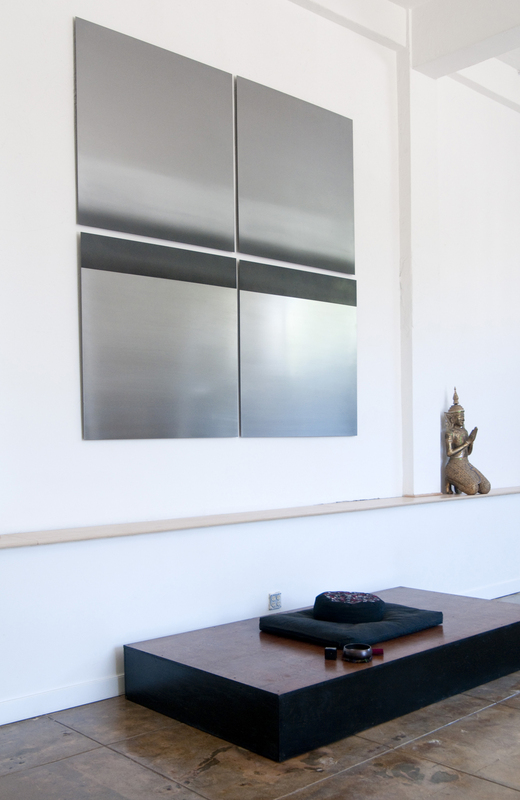 Ando’s commission for Against The Stream Buddhist Meditation Society consists of a grid of four steel square canvases measuring four feet each. 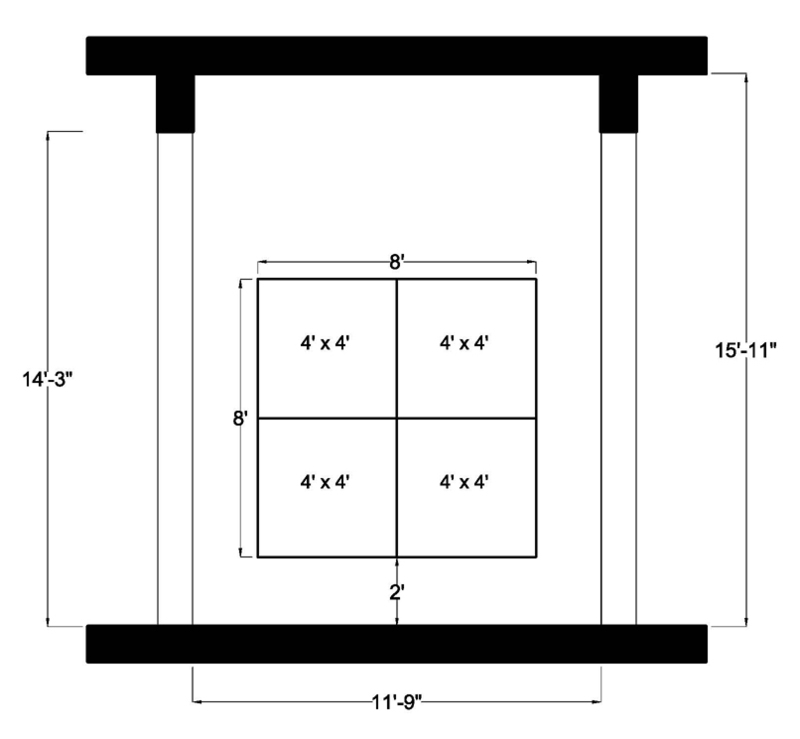 The configuration is a metaphor for the Dharma Wheel and the 8-fold path. The surface of the squares’ metal material reflects this special organization’s powerful, sincere and inspiring integrity. The art focuses on the pure intentions of its setting. A benefit for The Meditation Center is planned in conjunction with completion of their art commission in early 2009 where pieces donated by Ando will be available.